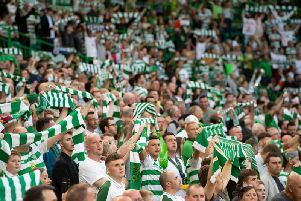 Celtic manager Brendan Rodgers has thrown his weight behind a radical revamp of Scottish football that would mean switching to a summer league season. On the day his team face Aberdeen in the final of the League Cup, the Irishman believes this weekend should see the curtain coming down on the season with the Scottish Cup showpiece. Rodgers believes such a revamp would not only enhance European qualifying prospects for Scottish clubs forced to embark on these games as campaign openers, he also believes coaching development at all levels would benefit markedly. “There is an argument to say a season which starts in February [and runs] to November would actually work up here and there would be benefits for clubs. There would be financial benefits and benefits for coaching in the warmer months. “Then when you are midway through your season you get the qualifiers. Astana had played 22 games by the time we faced them – and we had only played once. “You start behind the eight ball – you are right about that.